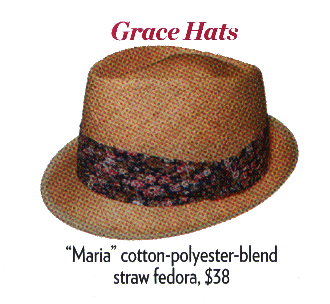 Grace Hats Maria Hat. As Seen on Katharine McPhee in People Style Watch. Look amazing at Coachella. Straw Fedora with floral tie detail. Available in Natural or Black. We are now sold out of the Black color.